IMPORTANT: PLEASE DO NOT USE THE REVIEWS SECTION FOR SUPPORT OR REPORTING BUGS. I can't reply there. Please use the support thread instead. 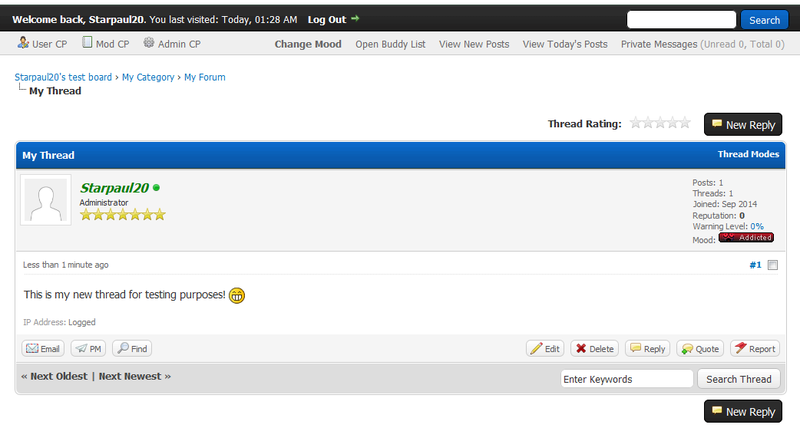 Allows your users to set a mood for themselves to display on their postbit(s) and in their profile. This plugin offers full language support. 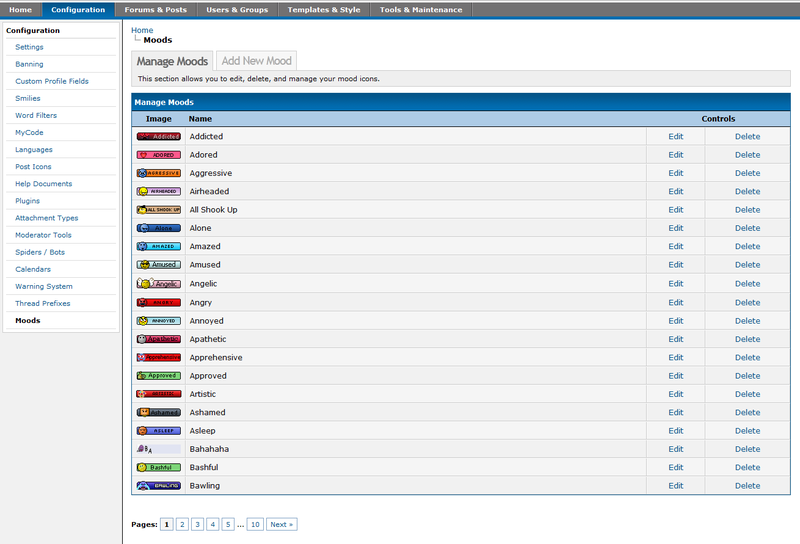 Mood icons can also be translated. To translate, create a folder in the images/mood folder with the same name as the language (English included by default) then Upload the translated icons to that folder (make sure they have the same file name). If a translated icon doesn't exist for a mood, it will default back to the English icon. v1.0 -> v1.1.1: Deactivate, upload new files and reactivate. v1.1 -> v1.1.1: Overwrite old files, no need to deactivate. 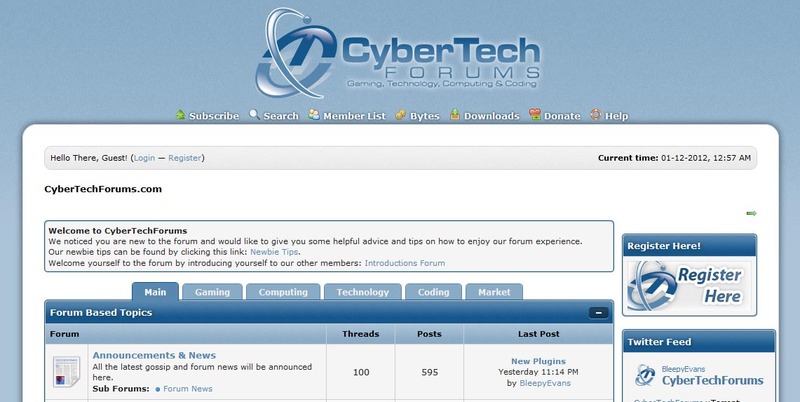 Display a message on your forum index to users with a post counter lower than specified.